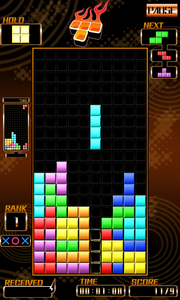 Tetris (R) & (C) 1985-2012 Tetris Holding. Game Design by Alexey Pajitnov. Original Logo Design by Roger Dean. Sub-licensed to Electronic Arts Inc. and G-mode Co., Ltd.